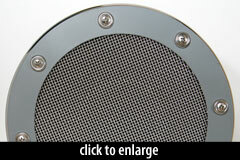 The “Moonmic,” aka DK27, is a large-diaphragm “Subkick”-style dynamic microphone built from an 8'' speaker driver. 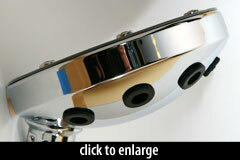 It is intended for use with bass instruments such as kick drum, floor tom, bass cabinet, etc. 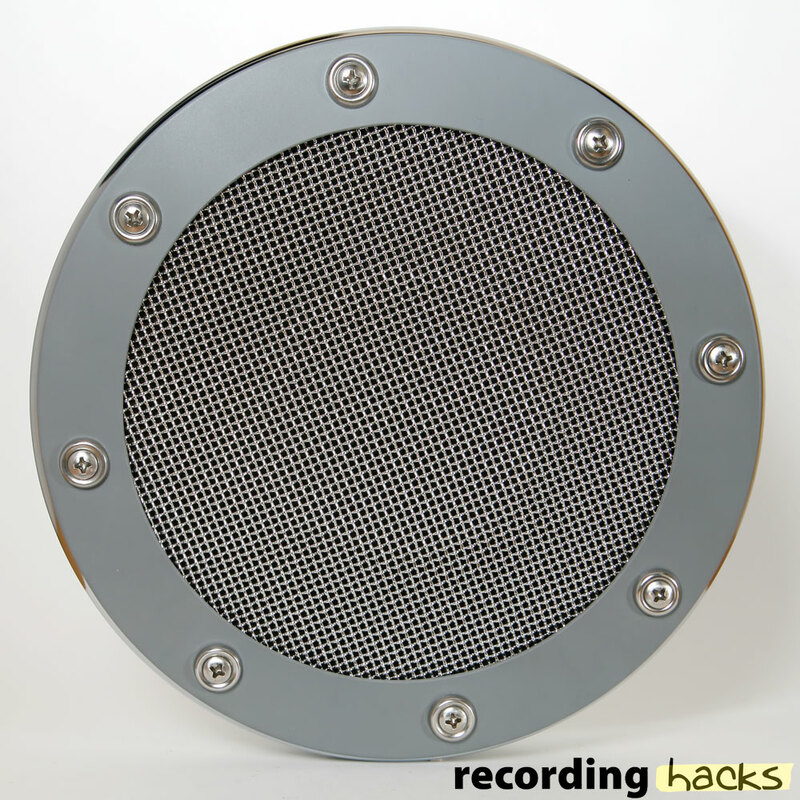 The speaker element is mounted in a chrome housing, designed to diffuse unwanted sound and background noise away from the back of the speaker cone. 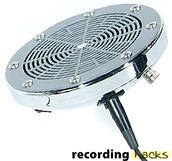 It is ported to allow air movement away from the diaphragm. The shape and design of the curved rear housing are patented (see more info in sidebar link). The mic has a polarity switch, making it easier to put the Moon mic’s signal in phase with other microphones being used in the vicinity. 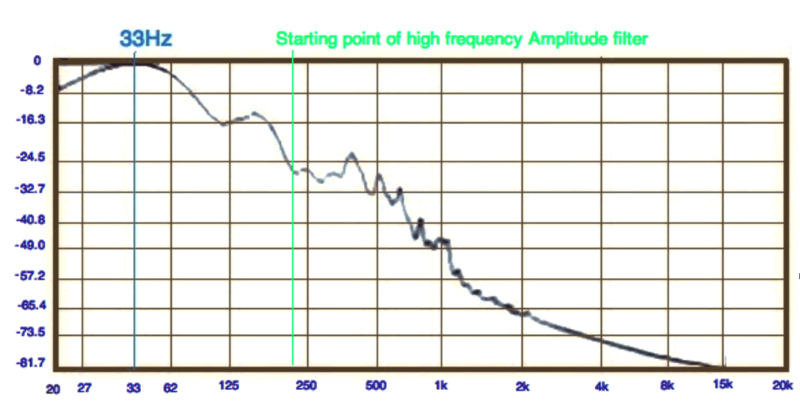 There are currently 3 models of the mic, but all three utilize the same microphone assembly — the only difference among the models is the stand with which the mic is supplied (and therefore the intended application), and possibly the mounting bracket. DK20E Eclipse - Equipped with a desktop-style mic stand and On Stage ONQK10B quick-release adapter, for use under floor toms or outside kick drum. This model has been discontinued as of 2012. All models carry a 3-year warranty. 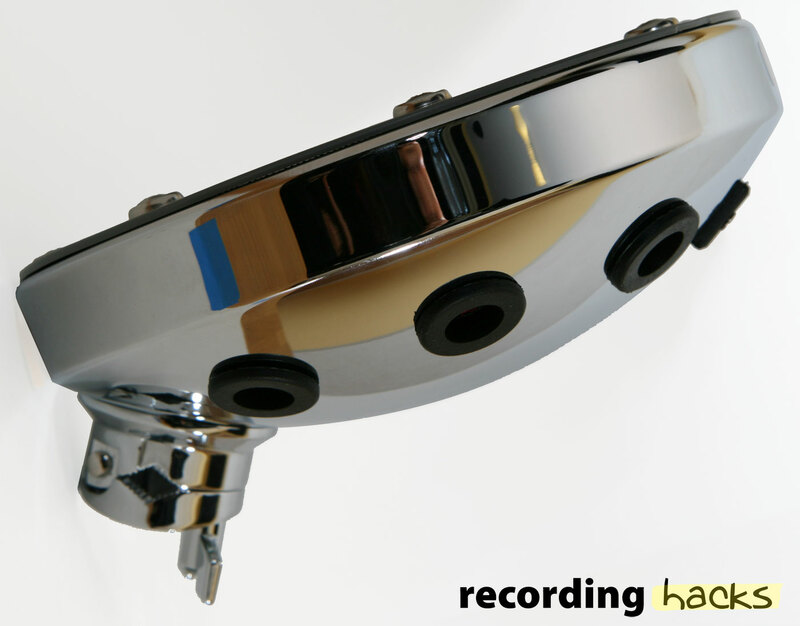 The Moon Mics, LLC DK27 is also known as: DK27H, DK20E, DK27F, moonmic.